New dock will be installed with electricity to charge your boat motor. View of Long Pond from screen porch. Kitchen with new laminate flooring & new appliances. View of living & dining areas. Queen bedroom on main floor. Bedroom #3 with two twin beds. 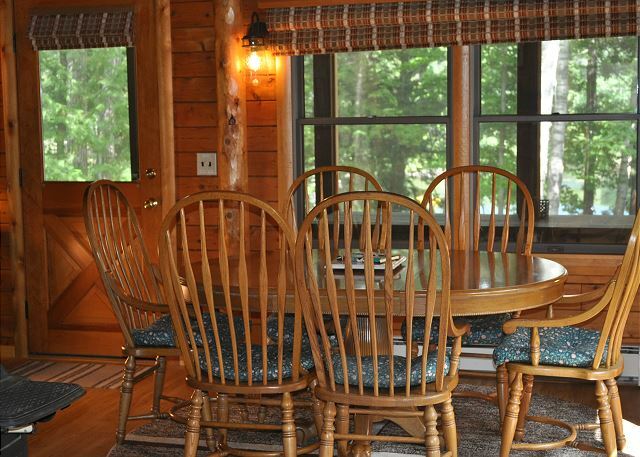 Bring your family for a fun filled lake vacation at this newly renovated Maine log home on Long Pond. On the first floor are the kitchen, family room, bedroom with queen bed, full bath, and screen porch. Screen porch looks out onto Long Pond. Upstairs are two additional bedrooms, one with a full bed the other with two twin beds, plus sleeping area in loft with a pull out couch. In the walkout basement is private bedroom with a wood floor, walk out to back yard and laundry facilities. Wi-fi and cable provided. Outside you can enjoy all the water activities. Swim and fish right from the large dock big enough for two bass boats. Explore Long Pond on the kayaks provided. This was our second year here and the kids look forward to coming back again. 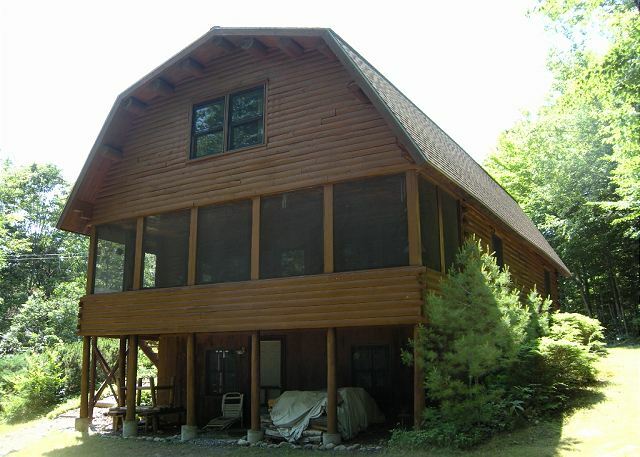 It's a quiet location, the house is very comfortable, and the lake is wonderful. Property well equipped. Needs more lighting - rooms dark. Had a wonderful time, weather was hot but all the fans helped greatly. The house was very clean upon arrival. We like being near the village so this location was perfect. Best lobster rolls at the corner of West and Castle Island Rd, it’s a great little stand with great food, we hit it almost every day. Everything was as described. We had a great week and loved the place. We will likely be back. We spent a "guys week" at the cabin fishing Long Pond & Great Pond. The location was perfect. The cabin was a short ride to either boat ramp. The dock fit two bass boats easy plus there was a moring for a third. We had power at the water for charging. The cove was always calm and the boats didn't get bounced around while docked. 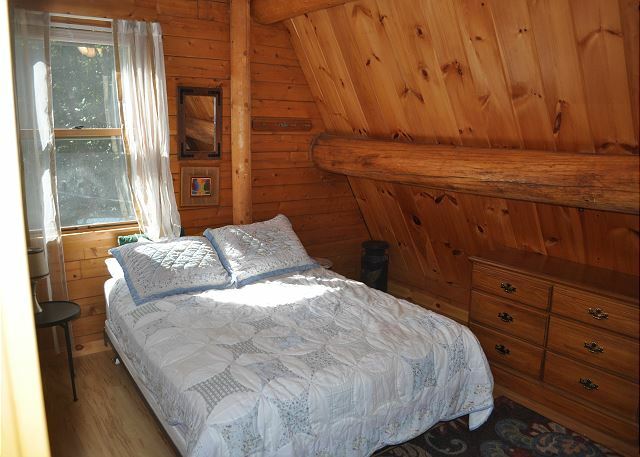 The Cabin was clean and comfortable, no complaints. Also plenty of parking out front for truck & trailer. I would definitely stay her again. Cabin was a beautiful home,and well maintained. The home was pet friendly. Plan on going back next year. Would only recommend that some of the coffee pots be discarded we left a new mister coffee maker for those old fashioned coffee drinkers. We had a fire outside and it was just magical,sleeping well to. Good T.V. And cable,Wi Fi to, heat , nice kitchen. What more do you want! Everything as expected and more. Peaceful, quiet, clean, and comfortable. 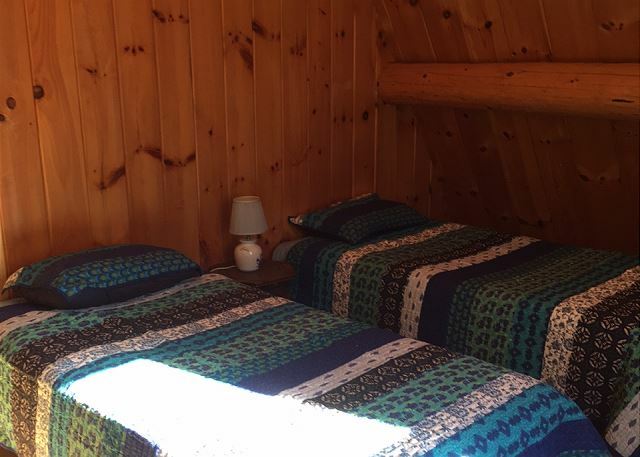 The cabin was really quiet and situated away from others. 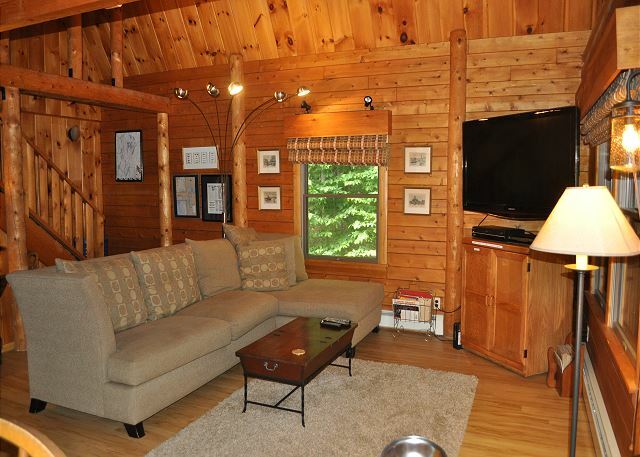 The cabin was spacious and had everything we needed for a relaxing time. One of the best camps in Belgrade Lakes! It was wonderful! We had perfect weather. The camp was very nice. We were very comfortable. We will definitely be back next year. 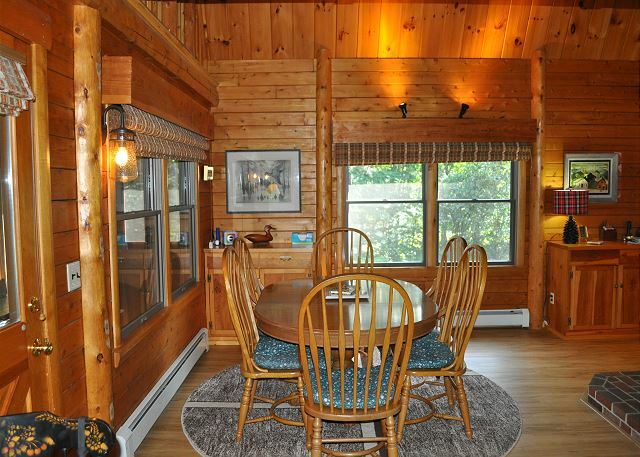 This gorgeous cottage on Long Pond was an absolute pleasure to stay in. 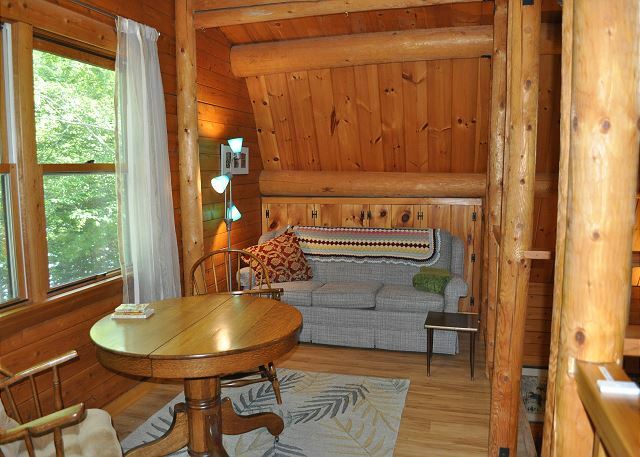 The area was quaint and perfect for a relaxing getaway. Very nice cottage, liked the fact they had some kayaks to use. A wonderful house to rent for our extended family. As always, Barbara found just what our family was looking for. House was clean and well stocked. We hope to rent it again next year. My family and I spend two wonderful weeks on beautiful Long Pond. Our location was quiet and serene, breath taking views, quaint neighborhood. The home was lovely, well kept and provided everything we needed. We couldn't have been happier with the outcome! 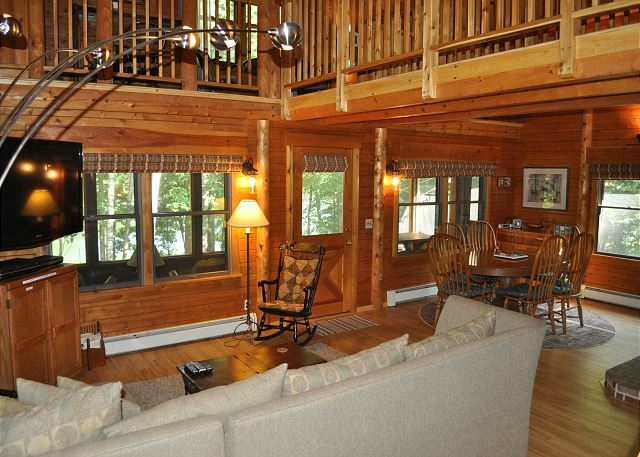 We had a very nice stay at Tranquility on Long Pond. Really enjoyed the large screened in porch/balcony with it's great view; as well as kayaking in the cove. The description on the website, as well as the various photos on the website provided a helpful and accurate sense of what the property was like. There is loon nesting area right within the cove, which made spotting and hearing them from the dock pretty easy. We found our vacation to be very comfortable and restful. The location was excellent...very quiet and private. Being only 2 miles from Belgrade Lakes village was, also, a plus. 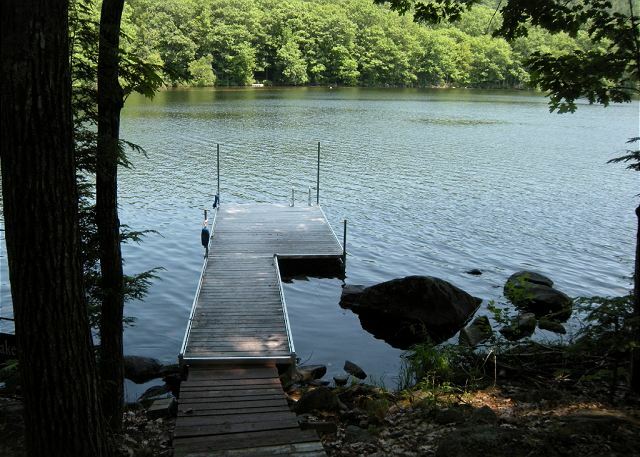 The dock was easily accessible and a perfect size for boating, relaxing, and fishing. The rooms were a comfortable size, the kitchen was very adequate, two bathrooms and the laundry was convenient, and cable TV came in handy during the one rainy day we had. We loved the screened porch, enjoyed paddling the kayaks, and we used the gas grill every day.